I was once trying to plan a video for a contest with my students. I am no expert in art or cinematography, but somehow this project was given to me. I had a concept, but I was having a hard time with the execution so I went to consult with the art teacher. She told me that I was going about the whole thing the wrong way. Rather than asking the students to do something very specific, which fit my idea, I should tell them what the rules of the contest were and see what they came up with. She was so right. They made a beautiful and clever clip, which was far better than anything I could have planned myself. I learned a valuable lesson about letting students lead the way, when possible. In fact, I think a lot of things in education are better when students are involved in the planning. 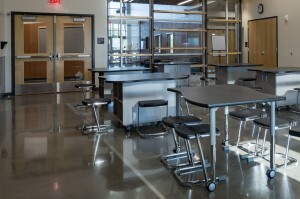 Makerspace design is a great example. The whole point of the makerspace is to teach students how to be innovative, solve problems in creative ways, and collaborate with peers. So allowing them the freedom to design the very space where all of these things will be taking place is only natural. The challenge of designing a space combines all of the elements of interdisciplinary STEAM education. Students need to plan steps in advance and see the project through from concept to execution. They will need to make calculations and build prototypes, and account for logistical and aesthetic considerations as well. All of these critical skills that we are working so hard to foster in our students will be integral parts of their role in the makerspace design. Obviously, there will need to be some parameters and guidelines for the project (unless of course, you have unlimited space and budget). Don’t be afraid to tell your students about what the requirements are. This is a great opportunity for them to learn about budgets. They can even submit proposals with all of the details of the costs along with the scaled models that they build. Whether or not you actually use the full design of one team of students, you will probably get some great, out-of-the-box ideas for your new space. When students see that even a part of what they worked so hard to plan is used in reality, they will feel validated, important, and empowered. I think those are some pretty valuable feelings. What if you aren’t doing a major renovation and building a brand new, state-of-the-art makerspace? That doesn’t mean you can’t get students involved. Whether you are just deciding which supplies to order, or purchasing a few new workstations, students can be a real part of decisions both big and small. One company even went as far as allowing middle school makers to design their own makerspace furniture, and the results are truly impressive. 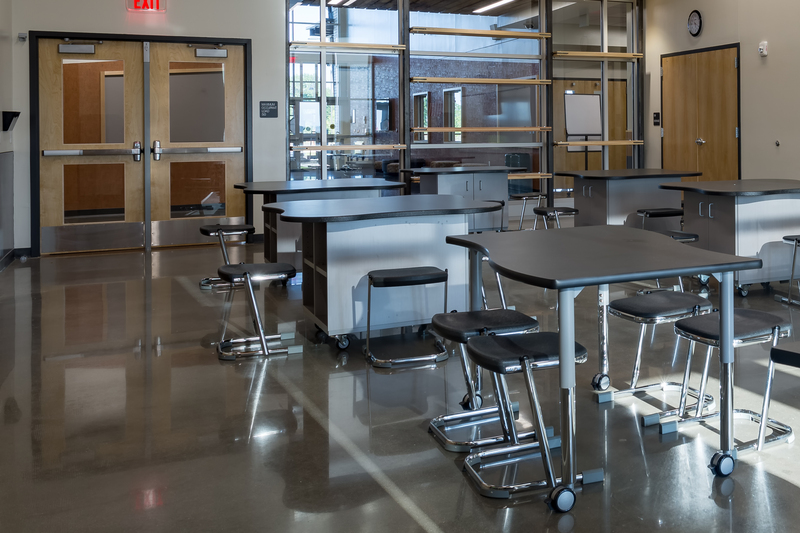 Even if you aren’t a big company manufacturing on a large scale, you can give students the opportunity to plan, design and build the very furniture they are using in the makerspace. When it comes to choosing supplies, allow students to submit proposals explaining why you should invest in or acquire particular materials, and demonstrate how they will make a real difference to them. When it comes to involving students in design and planning decisions, there is so much to gain. The makerspace, the hub of the budding entrepreneurial spirit and the seeds of the next major innovations is the perfect place to start.